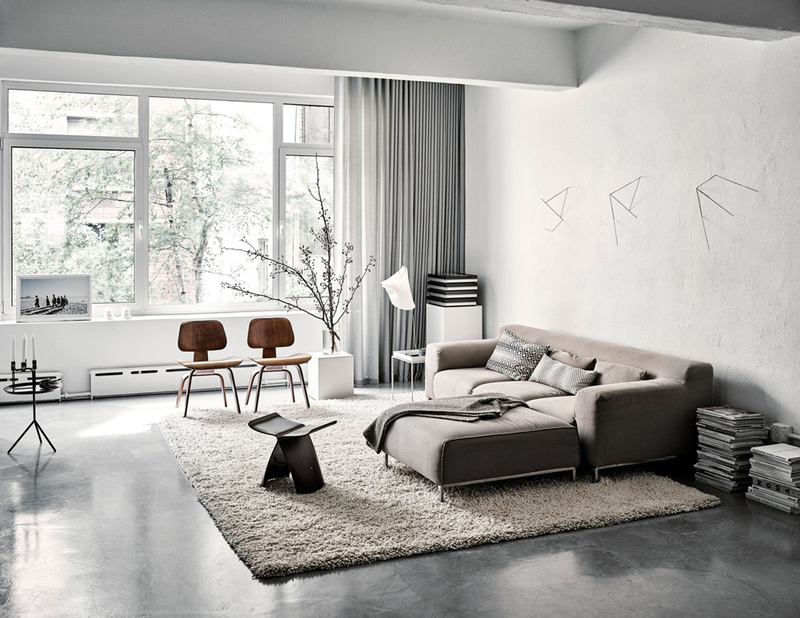 This is the New York City loft of Sofie Christensen Egelund, the third-generation owner of family business Vipp. 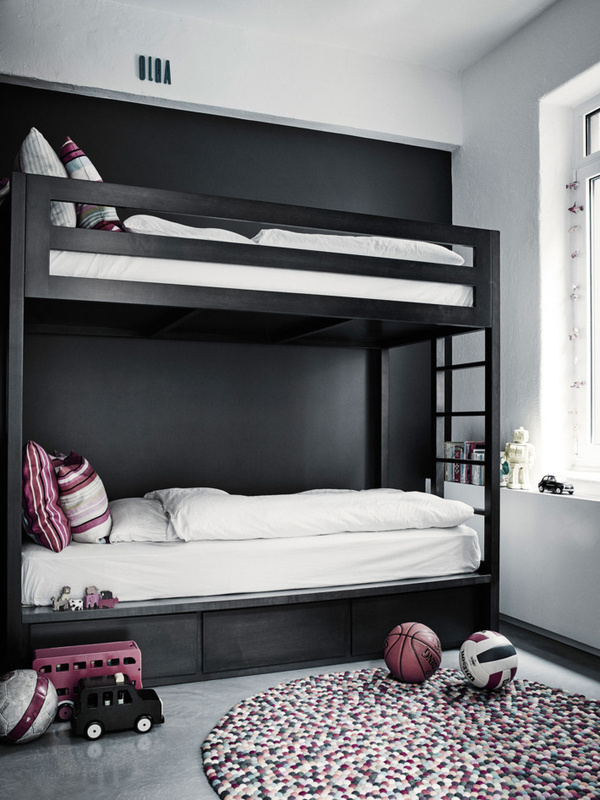 She moved to the Big Apple from Copenhagen with her family in 2014 to develop the North American market for the company. 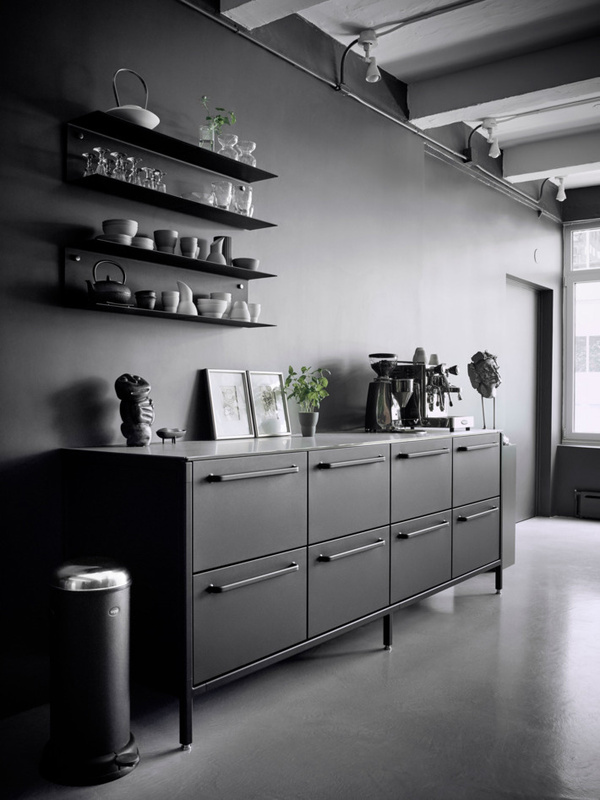 What formerly housed a sausage factory in Tibeca is now their home, which also doubles as a showroom for Vipp products. 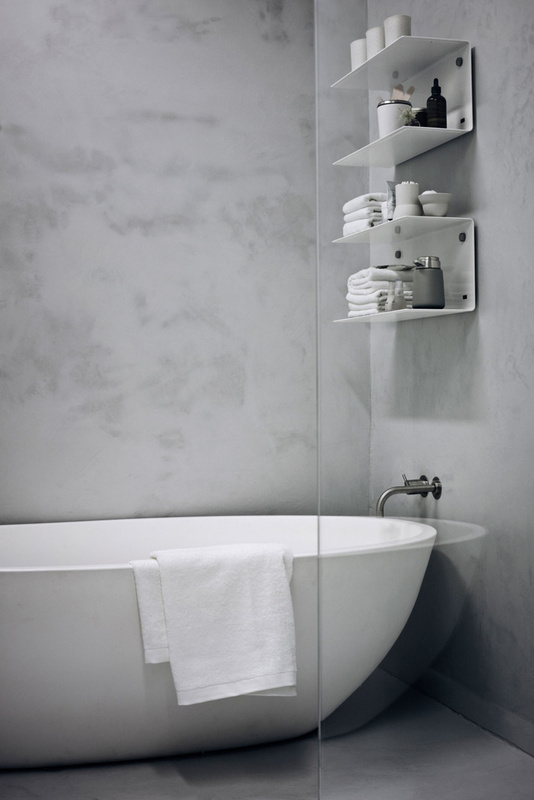 There are a few of the iconic pedal bin throughout the place, as well as lamps, wall shelves, soap dispensers, etc. 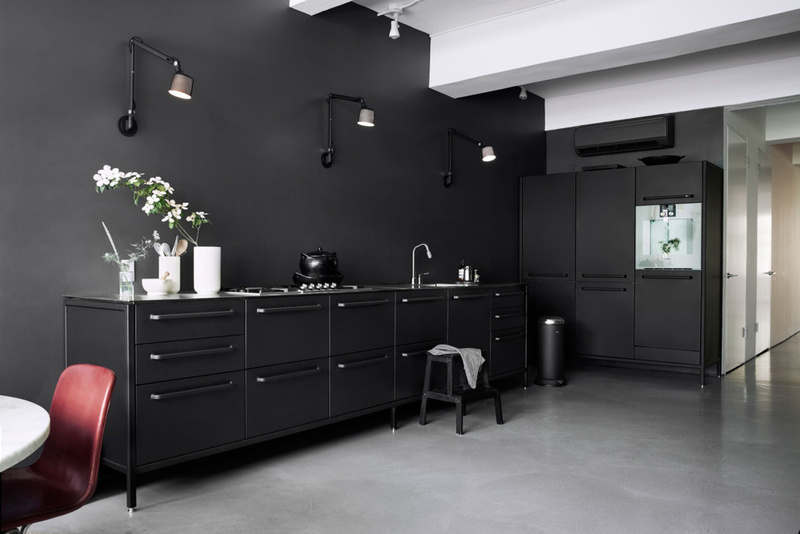 You’ll notice their fab black kitchen, which is perfect for the industrial space. The wall was painted dark to match the modules. It looks quite stunning. 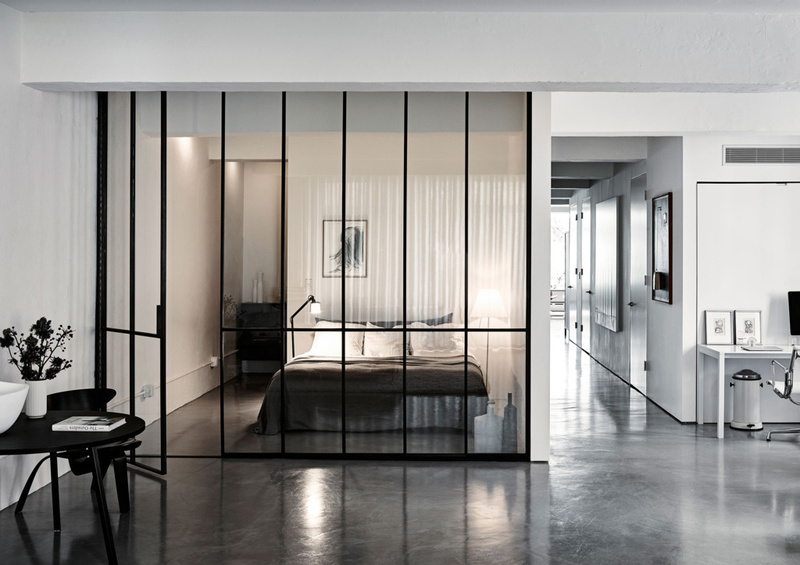 I’m also loving the steel and glass partition wall towards the master bedroom; it is a nice way to divide a space and allow for provacy, while preserving the loft’s open feel. 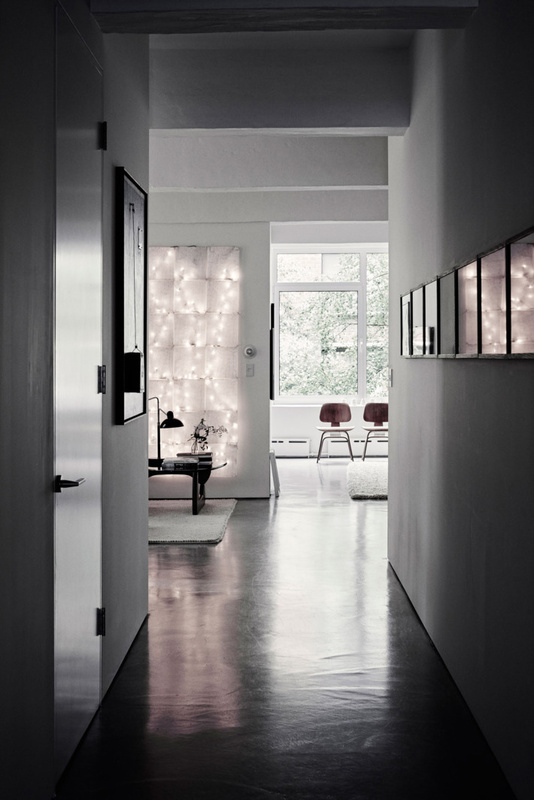 If you like this place, I recommend you check out the beautiful homes of two other Danes that moved to New York: Designer Søren Rose and model turned entrepreneur Camilla Vest.